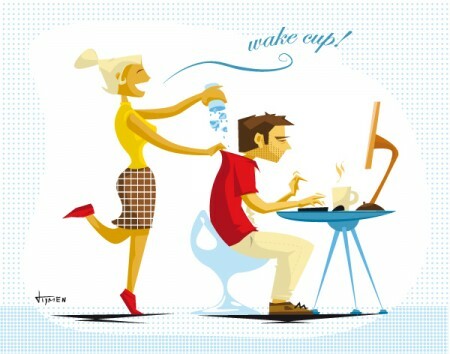 New illustration about the need of freshness in the morning to get started. It has a bit of new style in it. I really like this one because of the simplicity and colours. Next step is to figure out how to get this style nicely into a angle-view instead of the usual side-view.